Chicago’s 34th Ward Alderman Carrie Austin’s grandson Kenneth Austin who is a convicted felon is awaiting extradition to the state of Kentucky for his alleged involvement in a robbery and subsequent killing of a man who was found dead inside a Kentucky residence. This is another strike against the alderwoman’s grandson who has been in trouble with the law in the past. The Austin family are keeping a positive outlook on the situation as the grandson is seeking legal representation. Once the representation is in place more information will be obtained. EarHustle411 will post more details as they are released. The grandson of Chicago Ald. Carrie Austin was arrested last week on murder charges in a fatal shooting that occurred last month in Louisville, Ky., authorities said. Kenneth Austin, 28, and at least one other person are suspected in the killing of a 25-year-old man during a robbery Jan. 30. The victim was found inside a residence with a gunshot wound to his chest, according to a spokesman for the Louisville Metro Police Department. Austin, of Chicago, has been indicted on charges of murder, robbery in the first degree, possession of a handgun by a convicted felon and tampering with physical evidence, said Jeffrey Cooke, a spokesman for the Jefferson County, Ky., commonwealth’s attorney’s office. Austin was arrested Feb. 8 in Chicago on a fugitive warrant out of Louisville but awaits extradition at Cook County Jail, according to the Cook County sheriff’s office website. On Thursday, Carrie Austin, chairwoman of the City Council’s Budget Committee, was sketchy on the details but confirmed to the Tribune her grandson was arrested last week. She said her son, Kenneth’s father, told her the grandson was wanted for questioning in the Kentucky slaying. Cook County court records show that her grandson has also been fighting felony attempted aggravated robbery charges since last year and has a court date on that case in March. 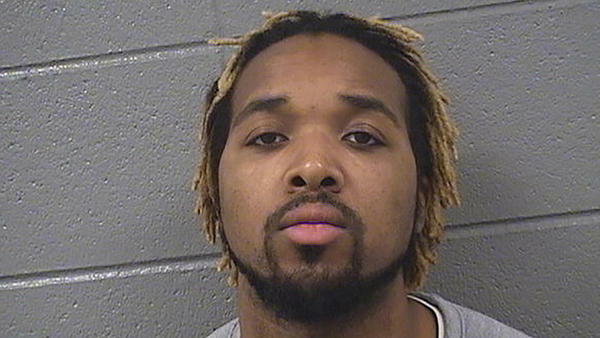 According to his arrest report in that case, Kenneth Austin and a co-defendant were arrested by Chicago police in July for trying to rob two people in the South Side’s Bridgeport neighborhood. In the arrest report, Austin’s occupation was listed as a customer service assistant with the Chicago Transit Authority. Kenneth Austin was charged in 2008 with felony theft for allegedly teaming up with an in-home nurse to steal more than $2,000 from an elderly woman the nurse was caring for, court records show. He pleaded guilty to a felony theft charge on June 22, 2010, and was sentenced to two years of probation by Cook County Judge Dennis Porter, according to court records. According to the 2010 article, Kenneth Austin was paid about $18,500 the year before as a legislative aide for his grandmother.